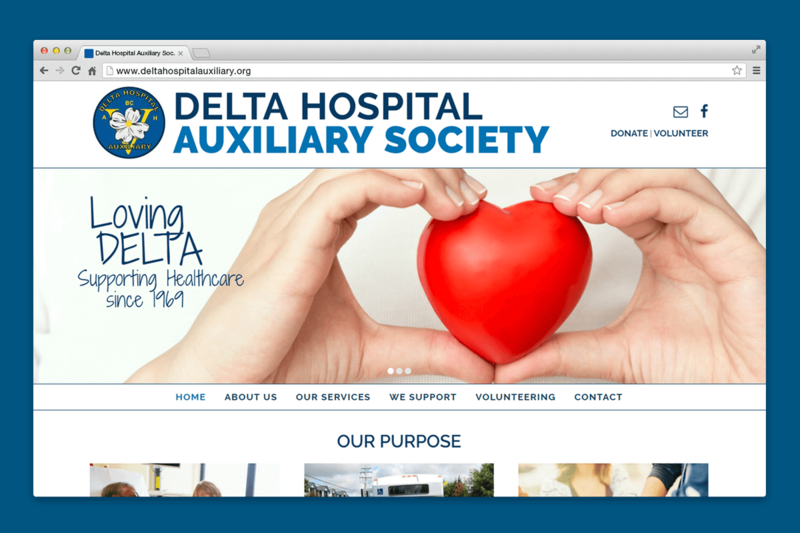 Delta Hospital Auxiliary | NetClimber Web Design Inc.
NetClimber has been building a business relationship with Delta Hospital Auxiliary Society since 2010. Our client was looking for a new design concept using a WordPress theme with admin dashboard for Content Management. Their current site, initially developed by NetClimber had some tired branding and functionality. 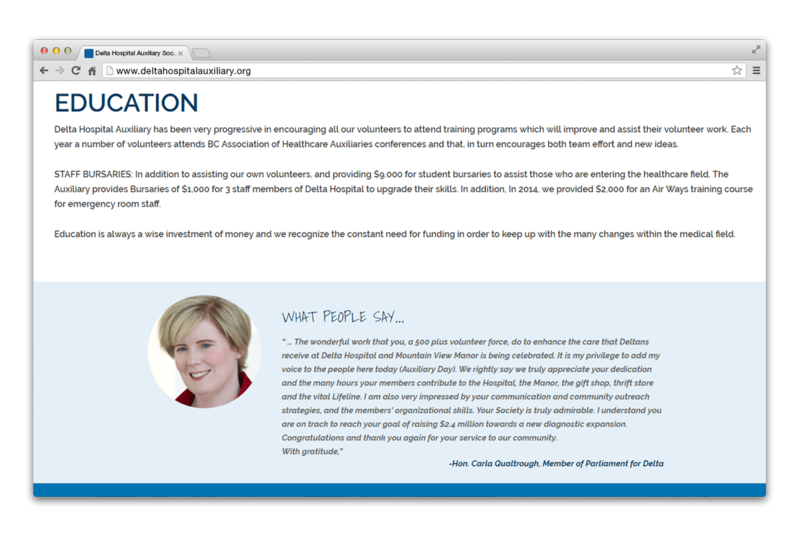 It was important that the new website demonstrated the message they wanted to convey to the public. They wanted something current and trendy to catch the eye of a younger audience in their efforts to draw in new volunteers. 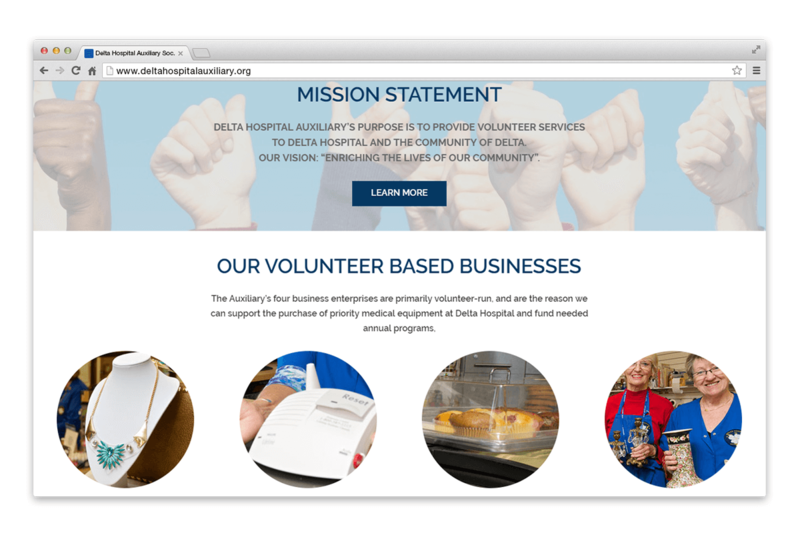 Also, Delta Hospital Auxiliary Society had specific needs to address: Provide visitors of ‘who they are’ and ‘ what they do’ , promote their volunteer based businesses, and provide the community with information of their goals and accomplishments. It was important to our client the site be easy to update and maintain. 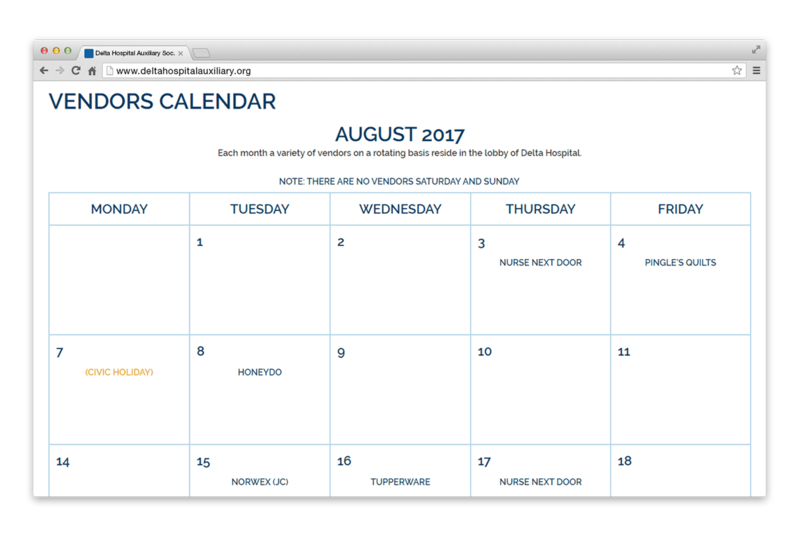 NetClimber was given a headstart on the design by the Delta Hospital Auxiliary summer interns that had marketing experience and an eye for design trends. With this in hand our designers created a look that was very clean, with lots of open white space and strong imagery. Unique typography, icons and colors carried this design a step further. NetClimber development team created a child theme to better serve the clients needs’ for functionality. Strong imagery – some purchased stock photos and some custom photos – fill out the site and give the site a strong “human” presence. They made a few customizations like adding a Facebook feed on the home page, unique testimonials and a little CSS animation. NetClimber was also able to transfer much of the client content from the former site and re-purpose it for the new site as well as handle new content. 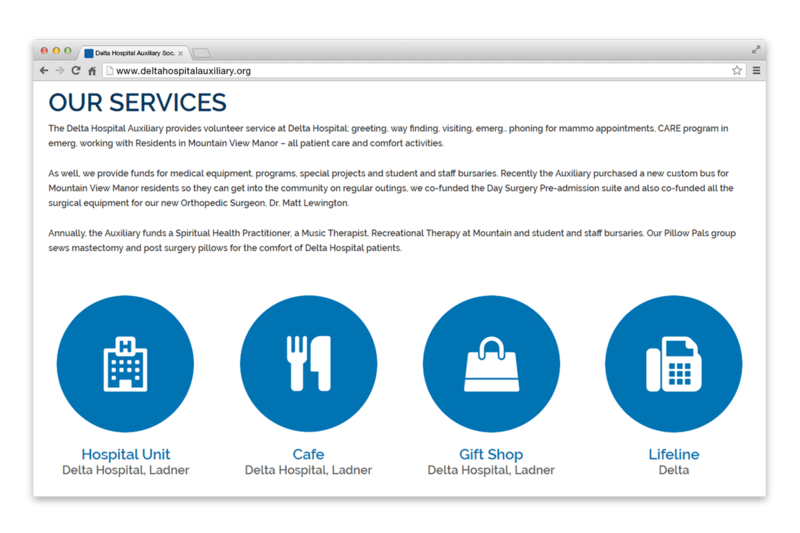 NetClimber provided this client with a responsive, fresh, easy to navigate site that provides clarity as to the what this organization achieves on a regular basis to support Delta Hospital and Mountain View Manor. The client supplied visuals greatly enhance the visitors’ experience.